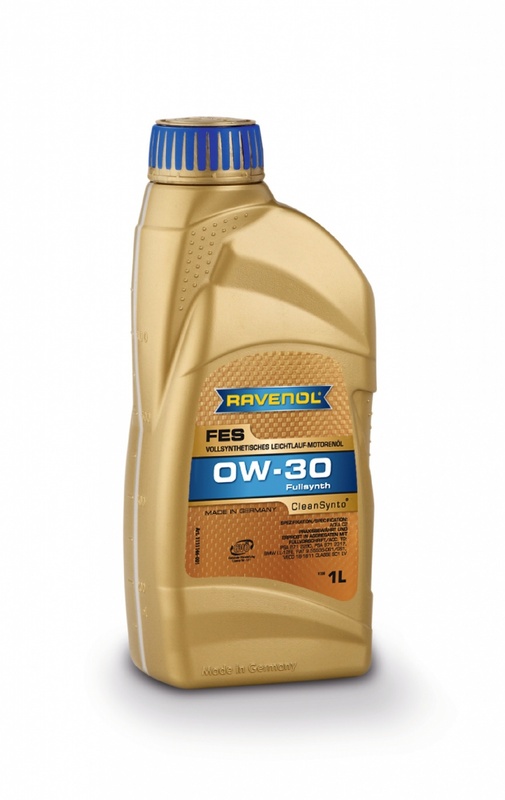 RAVENOL USVO® FES 0W-30 is a state-of-the art PAO (Polyalphaolefin) based fully synthetic, smooth-running low-friction motor oil with special USVO® and proven CleanSynto® technologies and is recommended for modern passenger car fuel and diesel engines, including supercharged models, and for direct injection engines under all operating conditions. Using additives with low ash content it offers excellent cold start characteristics, low oil consumption and reduced pollutant emissions. This oil will increase the DPF and TWC life. HTHS >2,9mPa.s. Developed for fuel economy especially for the latest petrol and diesel engines from BMW, PSA, FIAT, IVECO and Jaguar LandRover.